This necklace is made with Swarovsky Pearls. 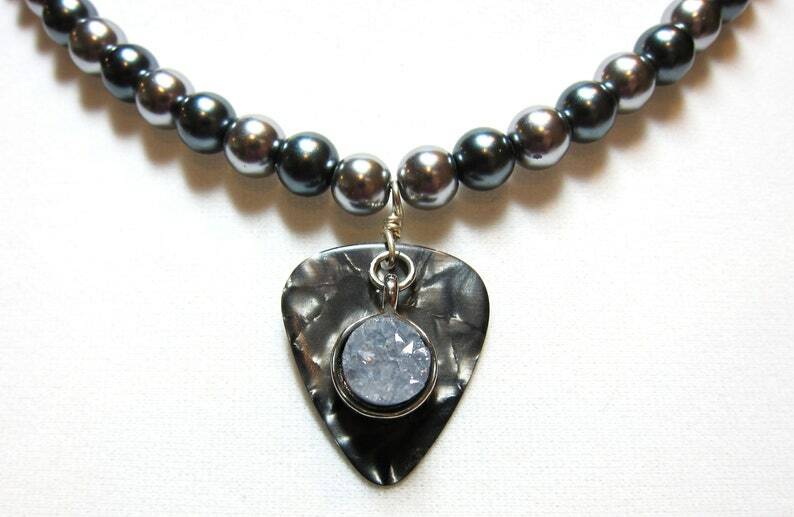 The pearls are alternating between light and dark gray. 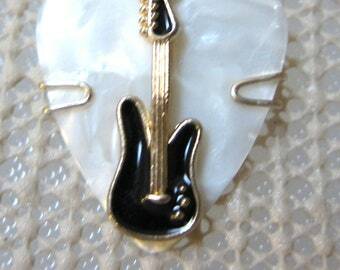 The Druzy focal point on the Pearloid guitar pick is just over 1 inch long. This is a truly classy piece. 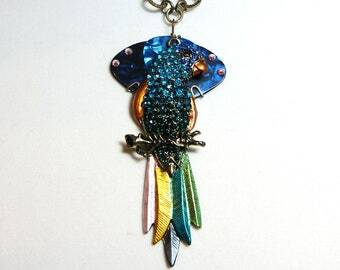 Could be worn to a music festival or a philharmonic performance. Would look amazing with a little black dress! The necklace is 18 inchs long with a 2 inch extender chain. The Lobster Claw is Silver and the extender chain is Sterling Silver. 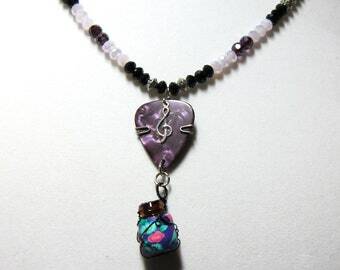 The necklace is strung on 19 coil metal string for durability.